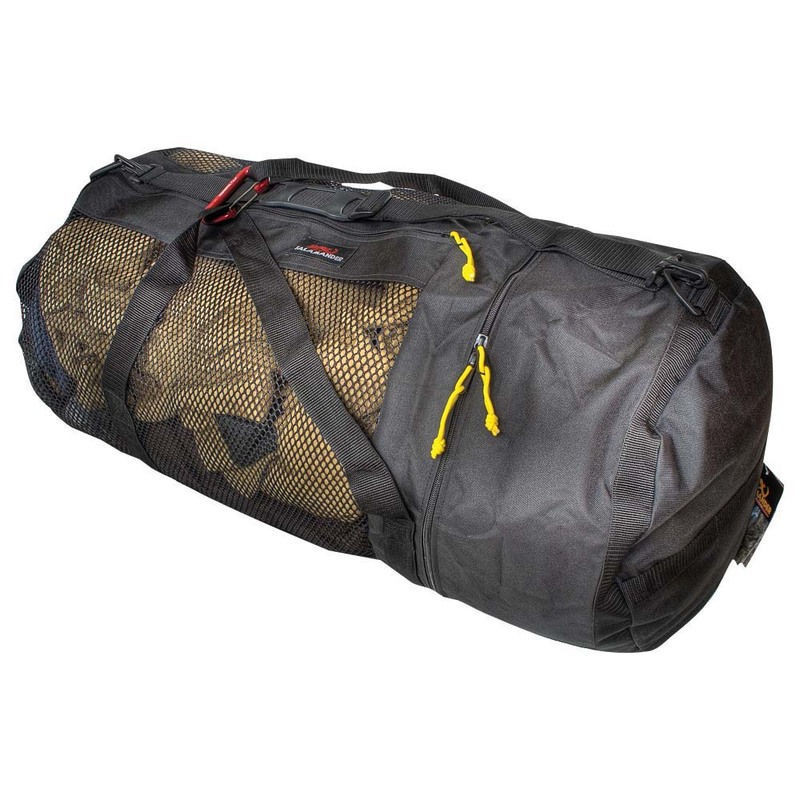 The Wet/Dry Duffle bag is an exceptional bag for all water sports. Two separate compartments; one for your wet and one for dry gear (16” X 33”, 2/3 wet, 1/3 dry). This is the perfect size bag for holding paddle gear and you do not have to unpack your wet stuff when you get home due to the large mesh compartment. Gear has room to breath. I also use this bag for fly fishing gear. Waders & boots on the wet side. Lumbar pack's, fly boxes and jackets stays contained and clean in the dry side. A great value as well!